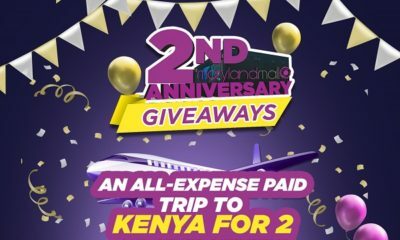 The city of Lagos is poised to welcome two brand new additions to its thriving entertainment and lifestyle culture. Eu-ph-o-ria Smoothies and Skate City – two new lifestyle and entertainment brands – will open their doors to fun seekers and healthy eating aficionados this weekend. 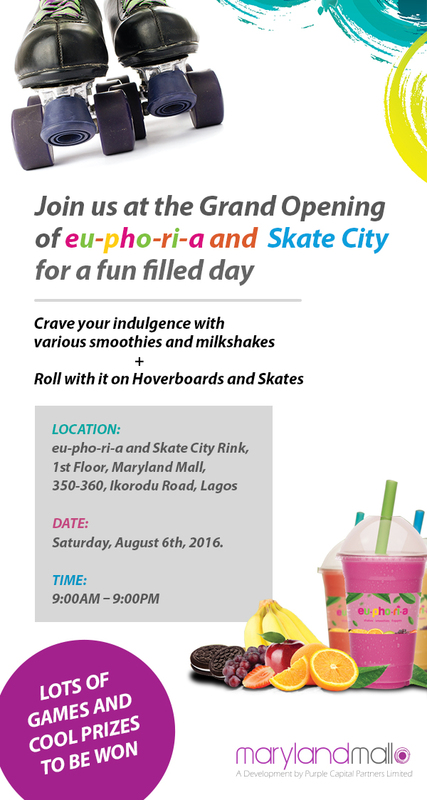 Located within the new Maryland Mall aka ‘The Black Box’, Eu-ph-o-ria Smoothies and Skate City is set to be a hit with families and folks visiting the new shopping mall, from all indications. So, P-L-E-A-S-E come crave your indulgence for healthy liquids at “Eu-ph-o-ria Smoothies”. Come have fun with the entire family! Bright Omon breaks Guinness World Record for Longest Dance Marathon by an Individual ? ?